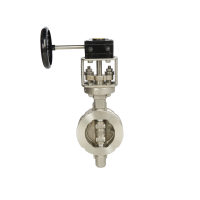 Omega Valves has different butterfly wafer valves available to meet your requirements. 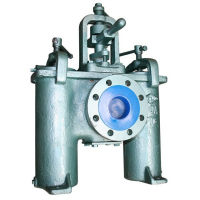 Butterfly wafer valves are used for isolating or controlling the flow of fluids. 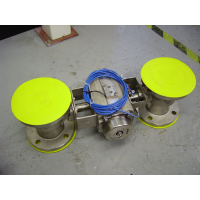 The butterfly valve can be operated either manually by hand (locally) or automatically by an actuator (remotely). 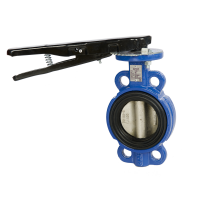 Most butterfly wafer valve are bi-directional and can be installed in either direction, regardless of the flow. 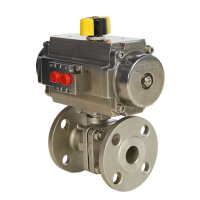 Butterfly wafer valves are smaller and lighter than other butterfly, ball, gate or globe valves. 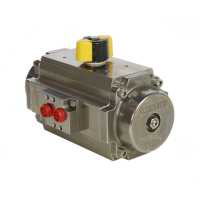 The simple construction and operating principles make the butterfly wafer valves a cost-effective option. Compact design The valve has small dimensions and takes less space. 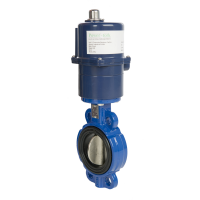 The butterfly wafer valve is therefore ideal to use under tanks and other confined areas where large valves cannot fit. 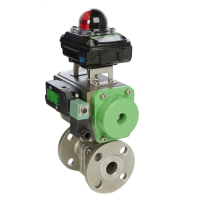 Low weight Butterfly wafer valves are light in weight. 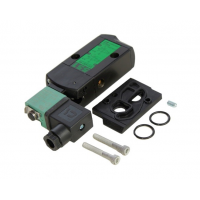 The valves are easy to install and require less manpower. 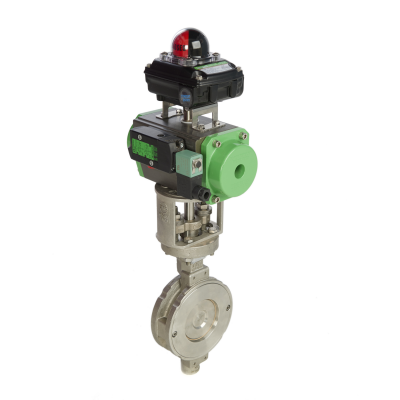 The low weight of the butterfly wafer valve allows for it to be used on pipes with minimal support. 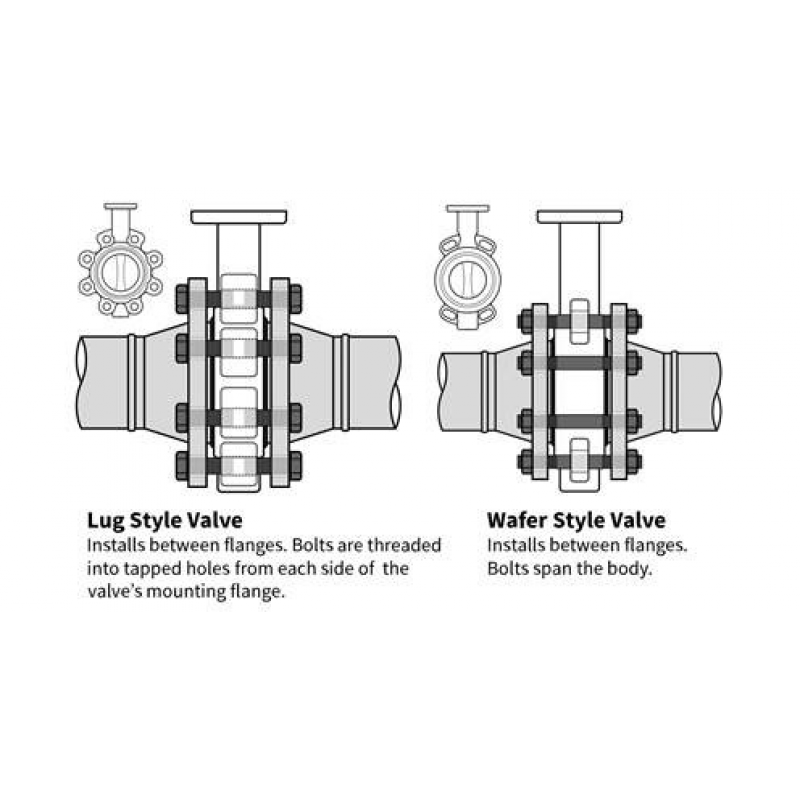 The disc, stem and seat are the only parts of the valve that come in contact with the substance. 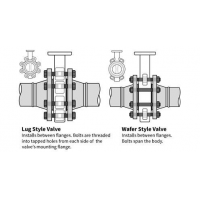 The body of the valve can therefore be constructed of an economical material. 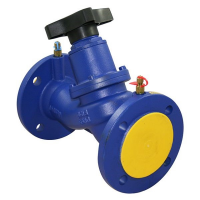 The overall cost and manufacturing time of the valve is minimised by the low-price material and the simple design of the butterfly wafer valve. 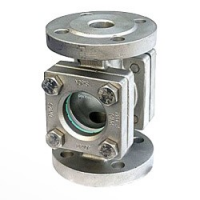 Multi-flange fitting Butterfly wafer valves can be used on both American standard flanges (ANSI) and German standard flanges (PN16). 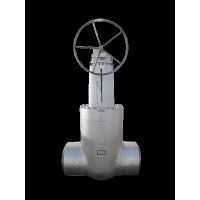 Uniformity of design Most manufacturers of butterfly wafer valves follow similar measurements, enabling the valves to be replaced easily. The uniformity of design eliminates the need to alter or cut the pipework. 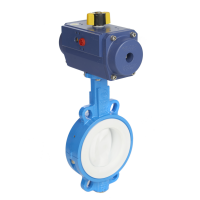 The butterfly wafer valve can only be used between flanges and not at the end of line, where there is only one flange. 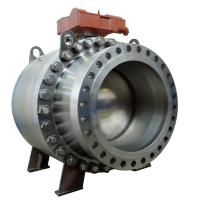 Butterfly valves are not suitable for bulky or dry substances that can potentially wedge between the disc and seat and hinder the smooth operations. EPDM -30⁰c to +110⁰c Air, water, ethyl alcohol, sugar industry, ammonium, weak acids hot water. 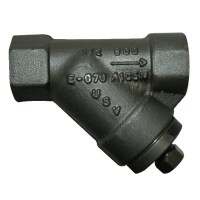 EPDM (HT) -30⁰c to +145⁰c Hot water steam. Neoprene -40⁰c to +95⁰c Alkali acids, acids base. Buna - N -30⁰c to +90⁰c Gasoline, diesel oil, vegetable oils, machine oils, natural gas, seat water, synthetic thinner. Viton -30⁰c to +205⁰c Acid, detergent, water, steam, vegetable oils. Silicon -55⁰c to +175⁰c Petroleum, hydroxides, alcohol, alkali. PTFE -40⁰c to +200⁰c Acids, alcohol, ethyl oxide, ammonium, hexane, ether, benzene, hydrogen sulphide. RPTFE -40⁰c to +232⁰c In higher temperatures with acids, alcohol, ethyl oxide, ammonium, hexane, ether, benzene, hydrogen sulphide, low pressure steam. Cryogenic and low temperature applications with liquid helium, liquid nitrogen, high temperature steam and hot oil.